≈ Comments Off on Who you gonna call? 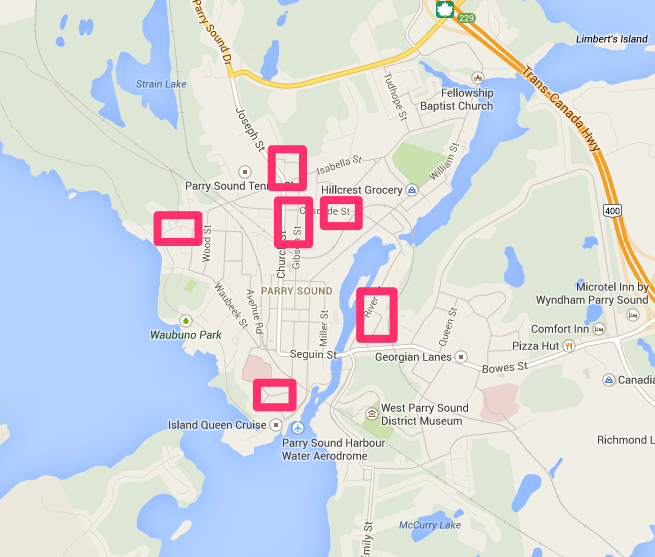 Have you ever taken a look at the distribution of where Parry Sound Town councillors live? I’ve marked up a map to show their general residence locations. There is nothing confidential about this, you can find their addresses in the local phone directory. The question once again is, ‘who you gonna call’, if you want to talk to one of your elected officials? If you have grown up in town or are a member of one of the local community groups where a councillor is a member it’s not too tough. The councillors are for the most part approachable, but it can still be intimidating for people new to town, or those with ‘delicate’ situations, who don’t want to approach town staff. So what do you do? Look at the map again a little more critically, the map as shown pretty much frames the whole town. You’ll see the councillors are largely clustered just outside the ‘downtown’. 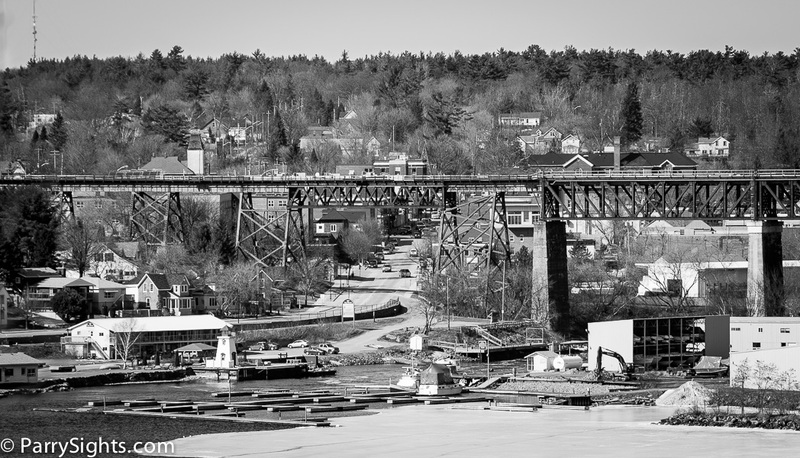 None of them live in the ‘suburbs’ of Parry Sound. Who is ‘your’ councillor if you live in the area up William Street towards the Fellowship Baptist Curch? What if you live in the south end of town, in what use to be Carrington Village? And what about those who live in the east end side of town out in the Louisa and Bowes Street areas? Is it time to think about assigning councillors responsibility for certain areas of town? They wouldn’t be elected by these areas, rather they would be the local elected official ‘responsible’ for these areas. If you lived in one of these areas you would know who to call for an issue that wasn’t best addressed directly with town staff. Those without ‘connections’ would still have access to elected officials. These councillors would become familiar with ‘their’ part of town. They would understand your concern in the context of where you live. Is there a needed upgrade to infrastructure, better water service, better lighting, or less noise? You would get to know them and they would get to know you and the concerns of your neighbourhood. Easy access to elected officials wouldn’t be dependent on who you ‘know’, or who you ‘grew up with’. Don’t underestimate how intimidated people can be by the people they have elected to represent them. Let’s make it a little easier for the public and elected officials to connect and share ideas.